Part of the uncertainty in predictions by climate models results fromlimited knowledge of the stability of the thermohaline circulation ofthe ocean. 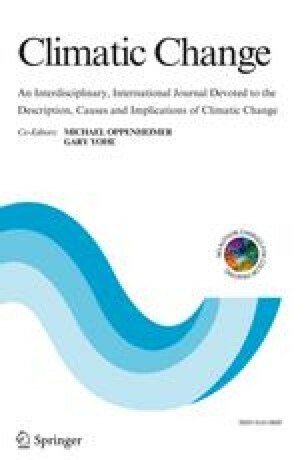 Here we provide estimates of the response of pre-industrial surface climatevariables should the thermohalinecirculation in the Atlantic Ocean collapse. For this we have usedHadCM3, an ocean-atmosphere general circulation model that is run without fluxadjustments. In this model a temporary collapse was forced by applying a strong initial freshening to the top layers of the NorthAtlantic. In the first five decades after the collapse surface air temperatureresponse is dominated by cooling of much of the NorthernHemisphere (locally up to 8 °C, 1–2 °C on average) and weakwarming of theSouthern Hemisphere (locally up to 1 °C, 0.2 °C onaverage). Response is strongest around the North Atlantic but significant changesoccur over the entire globe and highlight rapidteleconnections.Precipitation is reduced over large parts of the Northern Hemisphere.A southward shift of the IntertropicalConvergence Zone over the Atlantic and eastern Pacific createschanges in precipitation that are particularly large in South America andAfrica. Colder and drier conditions in much of the Northern Hemisphere reducesoil moisture and net primary productivity of the terrestrial vegetation. Thisis only partlycompensated by more productivity in the Southern Hemisphere.The total global net primary productivity by the vegetation decreases by5%. It should be noted, however, that in this version of the model thevegetation distribution cannotchange, and atmospheric carbon levels are also fixed. After about 100 yearsthe model's thermohaline circulation has largelyrecovered, and most climatic anomalies disappear.